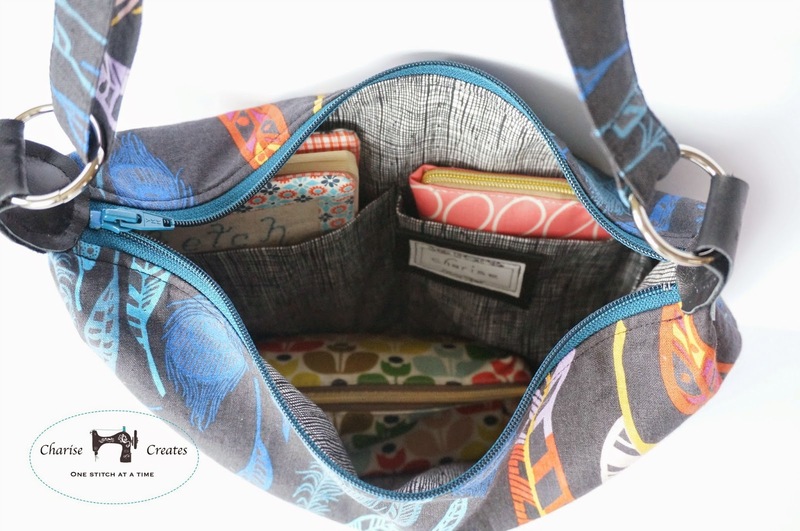 I am a bit of a pack rat - I like to have a purse that has everything I could need at all times : ) It is always a bit embarrassing to hand my heavy bag to someone to hold! I'm sure they are thinking "what on earth does she have in there?". My favorite style is a slouchy bag - usually referred to as a Hobo Bag. 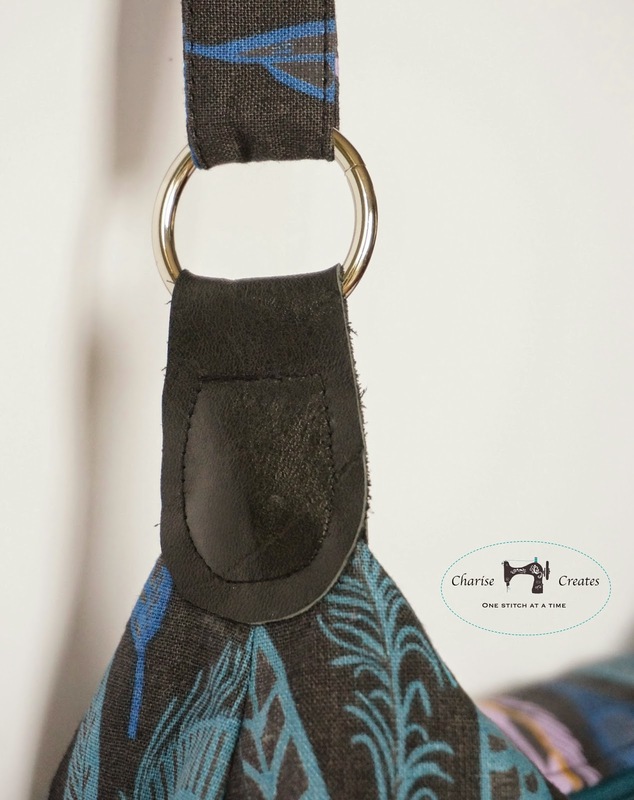 I sewed up this version in this beautiful print from Anna Maria Horner. 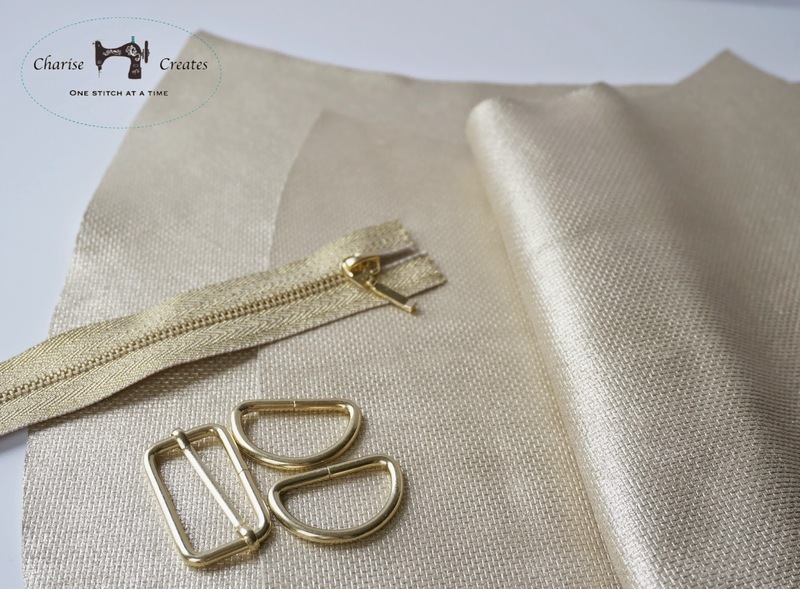 It is a medium weight fabric in a linen cotton blend and the perfect weight for this type of bag. I think the large scale feathers lend themselves beautifully to a handbag. I added a fusible fleece to the lining to give it a bit of stability. I love the top zipper closure to hold all my goodies inside. 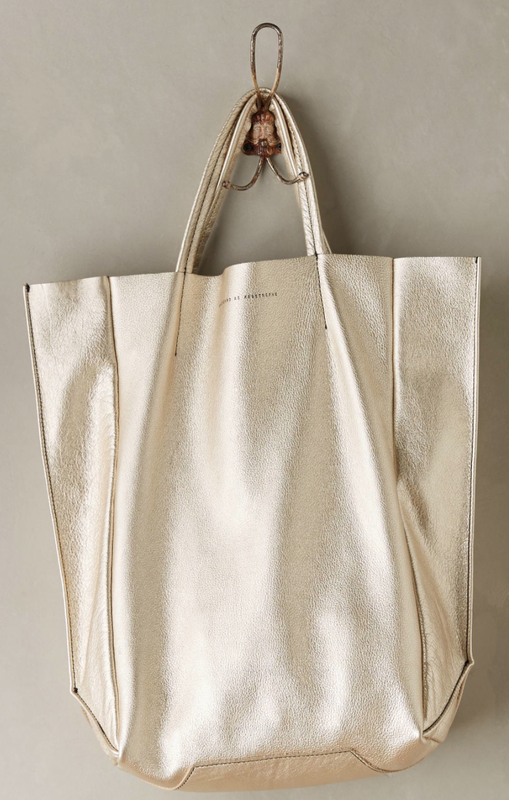 After seeing this gorgeous tote bag in person at Anthropologie last week, I will be making the Hobo bag out of a gold embossed leather hide I found at my local Tandy Leather for only $30! Sure beats paying the $500 for the Anthro bag : ) Situations like this make me very happy I know how to sew. 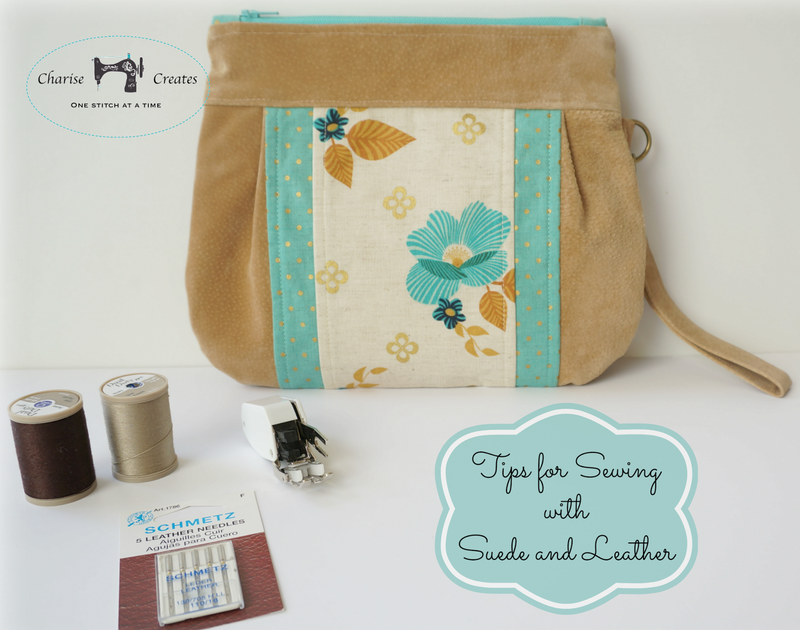 If you want to try making leather or suede bag, check out my post with Leather Sewing tips HERE. Be sure to check out the other WIP projects over at freshly pieced! what a great bag, it's going to be stunning in that gold leather. 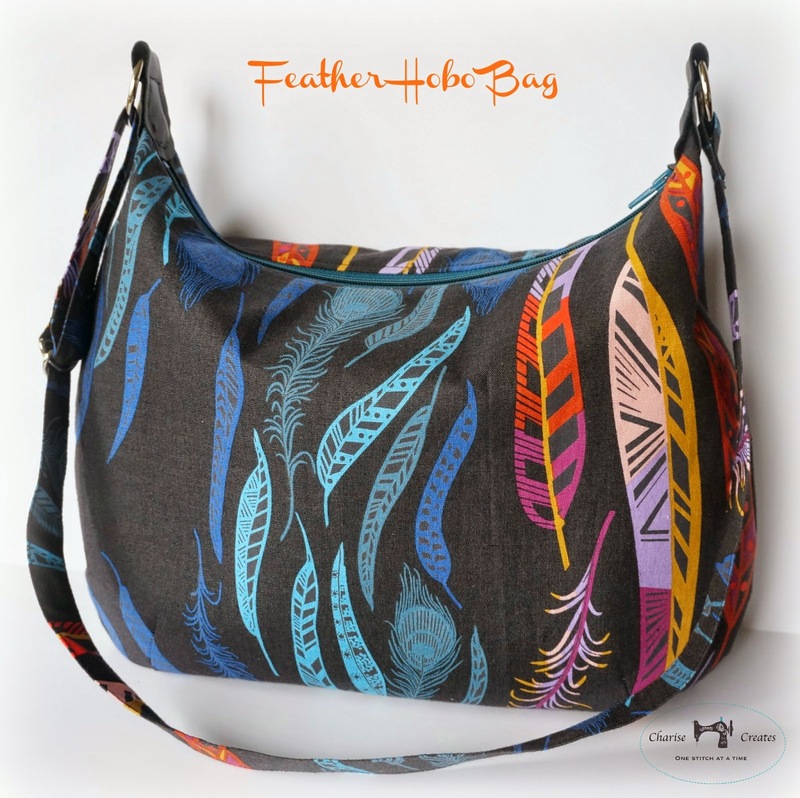 Love the feathers fabric in your Hobo bag - and the gold tote will be gorgeous!! 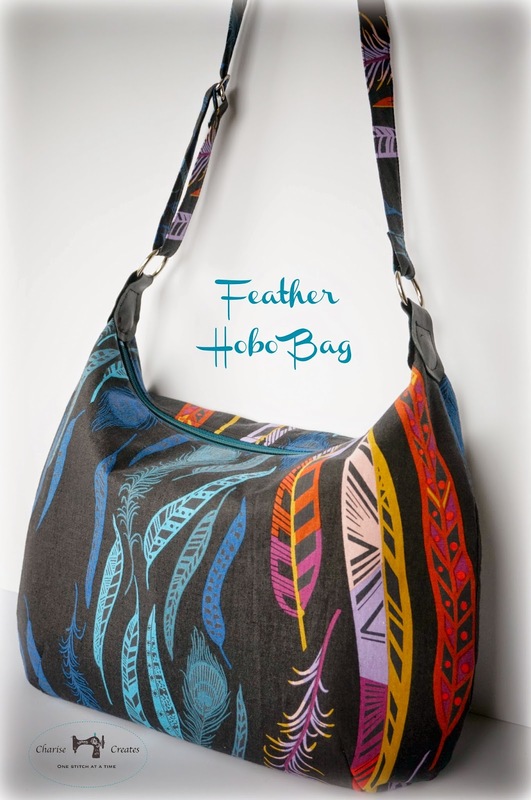 I love the Hobo bag! I just found you. I love that hobo bag, do you sell a pattern for it?? That is my favorite type of bag and it is very hard to find. Thanks so much.